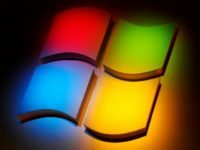 Microsoft has announced the closure of the last available path to upgrade to Windows 10 operating system without having to pay full price. The loophole offered to customers using accessibility systems will close in December of this year. Microsoft has taken the next step in pushing advertising on customers of its Windows 10 operating system, with users reporting an advertisement for Microsoft OneDrive now appearing in their File Explorer. “European Union data protection authorities” continue to have “privacy-related concerns” about Windows 10, according to Tech Crunch, despite the fact that Microsoft tweaked their operating system last year following similar concerns. 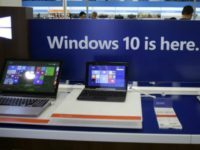 Microsoft Chief Marketing Officer Chris Capossela admitted that the Windows 10 upgrade campaign, which bombarded users with invasive notifications and reminder screens to upgrade their operating system, went too far. Microsoft is attempting to lure users to its own Edge browser (formerly Internet Explorer) by creating pop-up “tips” that claim the browser to be safer than competitors. 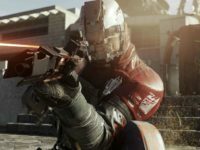 The Windows 10 Marketplace is offering refunds for Call of Duty: Infinite Warfare since almost no one is playing it through that platform. Microsoft announced that over 400 million people have now installed Windows 10, after previously declaring 350 million in July. 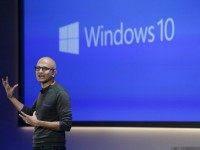 Microsoft is planning to charge businesses a subscription cost of $7 per month per user to use Windows 10. 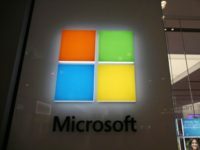 A Californian woman has successfully sued Microsoft after Windows 10 auto-installed on her computer without permission and rendered the machine unusable. Microsoft and 343 Industries are bringing Halo 5’s Forge Mode to Windows 10. 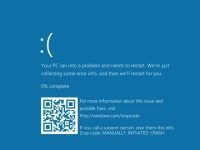 Microsoft has added a scannable QR code to the infamous “Blue Screen of Death” crash display in their latest update for Windows 10. Windows 10 for PC debuted on Wednesday, July 29. 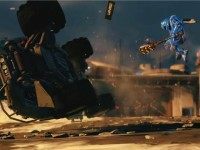 The platform supports Xbox Live, enabling games to stream from Xbox One to PC, but Xbox Head Phil Spencer recently suggested that the opposite will be possible as well. PC Gamer magazine will host the first annual PC Gaming Show at E3 this year. 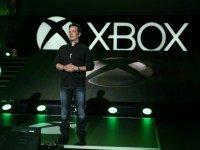 It will feature Microsoft, Blizzard, Square Enix, and a host of other PC game developers.